Folk is doing well in the charts these last few years, bringing talents from far afield into the limelight. 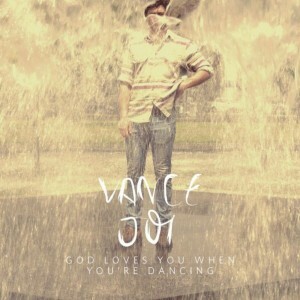 For anyone looking for something new from across the pond, look no further than Vance Joy. Vance has been supporting Lissie on her US tour, and I’ll admit that when he was announced as support, I thought he was Foy Vance. Fortunately, discovering this Vance (real name James Keogh) was no disappointment. “Play with Fire” continues with the ukulele, but has a more heartbroken quality. When he sings, “You say you’re sometimes sentimental/Well, that ain’t showing through to me,” it’s a painfully simple way of comparing his vulnerability to someone much colder. As the song builds with horns, he repeats the chorus with increased, almost angry intensity, like the final words of a long fight. “Snaggletooth” is a tender tune reassuring a hurt woman that he adores her flaws, including the aforementioned snaggletooth as well as pigeon toes. This contrasts well with the final track, the plaintive “From Afar,” in which Keogh describes why it “shouldn’t comes as a surprise” that he’s fallen for someone unattainable. Right now the EP is only available through vancejoy.com, but this upcoming Aussie talent has signed to Atlantic Records here in the States, so expect big things.